During the week, it's crazy around our house. By the time Friday arrives, we are all exhausted and ready family time. I've talked about it before, but I can't emphasize enough how much we treasure our family video game nights. We make popcorn, frequently get take out dinners and just relax playing a video game all as a family. Family Video Game night began in our house when my oldest was sick with bronchitis. Keeping him mellow and on the couch was required until he improved. He was uncomfortable and struggling to breathe (I was also because I was diagnosed with bronchitis a few days after him). We both have asthma, so all we could do for almost a week was find things to occupy us. It was great because he learned team work and how to strategize his way through a situation. You'll frequently find us all camped out playing, switching back and forth for the levels that we are each best at. My husband is great at the flying ship levels and I do well at the strategy levels. The kids are great at playing tandem with both of us. One of our all time favorites is the series of Lego video games. 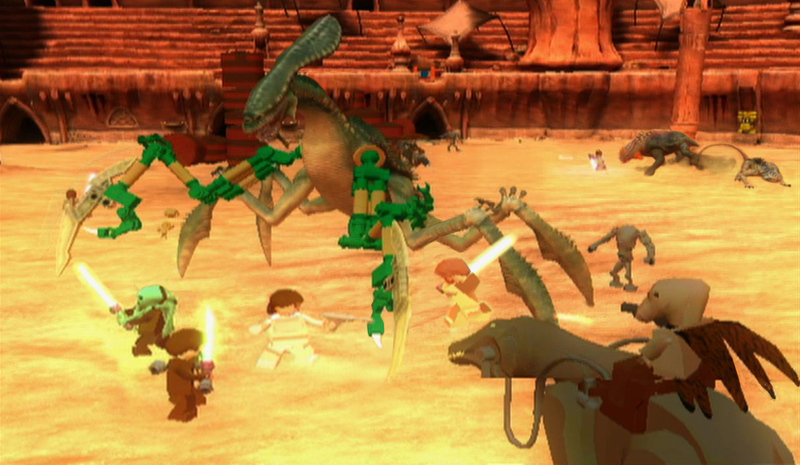 The countdown clock was on at at our house until the most recent release of Lego Star Wars: The Clone Wars III was available in stores. We all knew it wouldn't disappoint and it is safe to say that we LOVED the game. 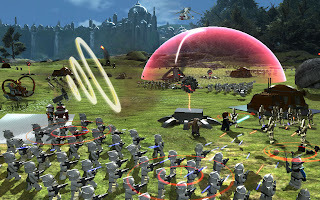 The graphics are amazing and the game is full of our family favorites (since we are all huge Star Wars fans). Pass all the levels on the good side? Then you move on to the dark side. Pass all those? Then you move on to the bounty hunter levels. This game has so many different levels I seriously don't know when we will ever truly finish, which is great! It's also fantastic for all ages because it is just Lego! I particularly loved the "hidden" series of locations to find the new levels. This was unique to this game (we've played all the Lego adventure games...). What games do you play for family video game night? What's your favorite part? 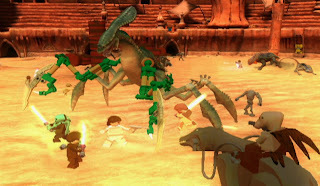 Purchased this for my kids on the grounds that,goodness my science,they played the complete saga more than some other game we have.The levels are "hard" for little kids.Yes,it is an E10+ game, so rating fits.Be that as it may it is substantially more difficult than the other lego star wars games.There is a considerable measure happening on each one level and its regularly hard to see what you have to do on the grounds that the camera pans our more distant than in past games which makes it harder to see what needs to be carried out. This video games is very good, I am going to play this game for sure...double thumbs up. Bronchitis can be just actually really a rather considerable illness which has an impact on the torso plus it might even cause death in the event the individual has suppressed immune apparatus. Topical use of the blend of chopped powder, water and flour within the torso is rather effectual in cutting bronchitis issues. Tea well ready with the addition of half of a teaspoon of ginger root from water that is boiling along with using it minutes would be a fantastic cure with this particular disorder. This is supposed to be repeated 23 days every afternoon.If you wants to get better soon try this bronchitis home remedies, through which you easily came to know about how to treat bronchitis. !